Judy Asks: Is NATO Deterrence a Paper Tiger? NATO’s deterrence rests on the solidarity of its members and the professionalism of its military. Despite inadequate defense spending in many European nations and worries about U.S. President Donald Trump’s commitment to the mutual defense guarantee, the d’Artagnan principle—one for all, all for one—is still credible. Sure, NATO needs to improve its response time and focus on an array of threats, from instability around the Mediterranean to cybersecurity and infowars, as well as its core task of territorial defense. The looming demise of the INF Treaty banning medium-range nuclear missiles will leave Europe potentially more exposed to Russian attempts at coercion. But NATO’s forward presence in the Baltics means a Russian incursion would encounter NATO soldiers, internationalizing any conflict. And Moscow can never safely calculate that Western powers would not use nuclear weapons in response to an attack. That’s enough to deter any rational Kremlin leader. NATO’s demise has been proclaimed many times since 1949. On the eve of its seventieth anniversary, its cohesion is under stress again, both from a resurgent Russia and from a U.S. president who calls some European allies “foes” on trade. But NATO marches on, just about. Let’s avoid a self-induced funk. The views expressed here are the author’s own. NATO deterrence is suffering for two reasons: a lack of European capabilities, and a diminishing trust in the United States’ willingness to defend its allies. Because of the latter, the former is needed more than ever. It is easy to blame Donald Trump for NATO’s weakness, as he openly entertains the idea that the United States could pull out. However, this is not only about Trump’s dislike of alliances. After all, he does not undermine all alliances equally. The Japanese are showing little concern that the United States could turn its back on them. The difference is that the U.S.-Japan alliance is based on shared interests, most notably with regard to China. NATO, on the other hand, these days predominantly relies on a belief in shared values, an insufficient motivation for Trump. Of course, for the foreseeable future it remains in the U.S. interest to make sure Europe does not go up in flames or is occupied by a rival power. This is why it is highly unlikely that Washington would withdraw completely. But if a European ally is threatened in a less extreme scenario, the United States may not see its interest affected sufficiently for it to act. Hence, the United States is currently providing only a safety net—and deterrence—for the most extreme scenario; not a particularly reassuring thought for allies such as the Baltics. For less extreme scenarios, the Europeans need to build up their capabilities to bolster deterrence. Absolutely not. It’s real, it’s strong, and it’s working. Since Russia’s invasion of Ukraine, NATO has shown remarkable agility in adapting and transforming its command structures and processes and even the mindset of its members. There is a sense of urgency in improving capabilities, gaining contributions, and significantly expanding the amount of cash that members invest in defense. Leadership by the secretary general and by SACEUR has been exceptional and effective. I wish my president would remove all doubt about America’s commitment; that the tweets would match the very tangible manifestations of that commitment one can see in Europe and in the actions of Congress. He can rightly take credit for increasing defense investment by allies, as the secretary general recently said. So let’s move on. Areas that still need improvement: (1) Military mobility to ensure NATO forces can move as fast or faster than Russian forces, demonstrating this is essential to deterrence; (2) air and missile defense, with sophisticated, theater-wide exercises to develop it; (3) readiness levels of all members’ armed forces; (4) improved cyber protection of seaports, transportation networks, and civilian networks; and (5) a more sophisticated approach to burden-sharing which incentivizes nations to invest in capabilities above. Paul CornishIndependent analyst and consultant, and director of Coracle Analysis Ltd.
NATO needs a revived and fully integrated deterrence posture, and it also needs to explain convincingly to the public that deterrence is the main purpose of the alliance’s promised defense expansion. A revived deterrence posture must not be seen as another “offset” strategy, compensating for some defense deficiency or another. Defense and deterrence work together, not separately. Instead, deterrence should be made the focus of a “reset” strategy—a coordinated effort to rediscover the fundamental goal of deterrence: the maintenance of stability, even in an adversarial environment. NATO deterrence is a very real tiger. We can say this with complete certainty because NATO’s purpose is to defend the territorial integrity of its member states, and since its inception it has indeed managed to deter territorial aggression against its member states. That doesn’t mean that NATO is perfect. Logistical complications in moving troops and equipment harm the alliance’s ability to deter: an enemy might be tempted to attack a country knowing that it would take allied troops a long time to get to the theater. European countries are painfully aware of this unnecessary weakness and are working to fix it. A more troubling problem is that we’re not sure what, exactly, deters. Is NATO’s enhanced forward presence in the Baltic states and Poland deterring Russian territorial aggression, or does the absence of Russian military attacks against these countries simply mean that Moscow had no intention of attacking them anyway? We don’t know. Incidentally, the current U.S. permanent rotation to European countries is a deterrent: by showing that it can efficiently transport troops from the United States to Europe, the Americans are telling the Russians that they would easily be able to do the same in case of an armed conflict. The Europeans however, have to make sure they can move U.S. troops quickly across the continent. Ergo, a NATO Schengen please! NATO deterrence is only as strong as allies make it. With their current political bickering and some nationalist positions, allies are putting NATO’s deterrence and Europe’s security recklessly at risk. They undermine the united front that would deter potential adversaries from trying to strike. Militarily, NATO has caught up since 2014. Allies have improved their forces, launched new commands, and adapted the deterrence posture, plans and procedures. It’s not all sunshine and roses. Readiness, for example, remains a problem. But overall, NATO is relearning deterrence, painfully, but constantly. The problem comes with the political-psychological dimension of deterrence: solidarity is rare, but deterrence only works when allies and adversaries believe that NATO states stand up for each other and combine their power. Allied solidarity is the fuel for NATO’s engine that creates credibility and capability. But solidarity is under pressure. Transatlantic quarrels have been ongoing since U.S. President Donald Trump took office, and intra-European divisions are growing, with some states preferring bilateral deals over NATO-consensus. Furthermore, adversaries use every opportunity to deepen these fragmentations; they seem to know our weaknesses better than us. If allies appear divided and let themselves divide, NATO’s credibility as a defense alliance, and thus Europe’s security, are at stake. From a planning and organizational vantage point, NATO offers the best formula to maintain the security bond between the United States and Europe. Since the combined resources of the United States and its allies are unmatched and will remain so for the foreseeable future—China’s rise as a great power and Russia’s revisionist ambitions notwithstanding—it would seem NATO should have no problem ensuring that deterrence along Europe’s periphery holds. And yet, despite its preponderance of available power, NATO is struggling. 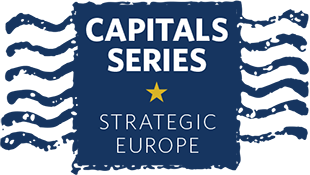 The last two decades have witnessed the de facto demilitarization of Europe, with a concomitant decomposition of the logistical infrastructure necessary to reinforce U.S. and allied forces in a crisis; persistent gaps in air and missile defense; and an overall decline in readiness. Since the Wales summit the alliance has tried to reverse this trend, with some important steps taken to firm up defense along the Eastern flank, but more needs to be done. Most importantly, Europe’s underinvestment in the military application of emerging technologies, especially AI, raises serious questions about interoperability going forward. NATO is at an inflection point, where the decisions its members take on defense spending will either address its capabilities deficits or further hollow out the alliance. NATO’s deterrence requires the alliance to be able and willing to determinedly take robust action in case any of its members being attacked. Maintaining this posture in a credible way has become difficult in times where a post-heroic Europe has increasingly taken post-Cold War peace dividends for granted. While arms reduction is certainly the most wanted outcome of security policy, recent conflict dynamics have demonstrated that good words alone will not get us there. Backing negotiations by adjusting NATO’s deterrence potential to the new realities is, unfortunately, indispensable. Important steps, albeit sluggish, have been taken in the conventional realm, including the establishment of the Enhanced Forward Presence and the Very High Readiness Joint Task Force on NATO’s Eastern flank. Still, there is plenty of wrong political signaling: Putting in doubt one’s commitment to NATO’s 2 percent goal is one of them. And taking the nuclear trump card off the table before meaningful negotiations even started reduces the chances of actually achieving the desired outcome of arms reduction. Most damage is done, though, when the president of NATO’s lead nation questions Article 5 commitments, for example vis-à-vis Montenegro, or even considers leaving the alliance altogether. Dwarfing the U.S. role under the America First ideology has indeed the potential of turning NATO into a paper tiger. Far from it. Deterrence rests on risk calculation and doubt. The costs of challenging the deterrent have to be just high enough to discourage risk taking. While Putin was surprised to learn that the West would respond forcefully to his intervention in Ukraine, he now has to take Western deterrence seriously. NATO has bolstered its military presence in the Baltics and Poland and has conducted substantial exercises in the region. The understanding of the Russian threat to American interests and democracy has been growing as revelations from the Mueller investigation keep coming out. The U.S. House just recently passed legislation with bipartisan support by a 357-22 vote, stating that its U.S. policy to remain a member of NATO and prohibiting funds from being used to withdraw from the alliance. In the wake of the debacle of the government shutdown, Trump is looking more like a one term president, and his anti-European views are not widely shared in civil society—nor likely to outlive his time in office. Deterrence, however, means more than military deterrence, it also involves resilience against hybrid warfare and corruption at home. Here, there is much left to do. Deterrence is about both capabilities and intent. NATO has weak spots on both sides, but not enough to sum it up as a paper tiger; NATO deterrence, which is built on strategic nuclear capacity, still holds. The lack of firm European response to Russia’s noncompliance to the INF Treaty is symptomatic of a continent that forgot that nuclear weapons must be discussed not only in terms of disarmament but as a threat with the possibility of being used. Lately, there has been a brusque awakening, and Europe now finds itself in an increasingly dangerous situation. A crucial risk with the INF Treaty withdrawal is its possible domino effects on the New START (New Strategic Arms Reduction Treaty), which regulates the strategic level and expires in 2021. That would hit the core of NATO’s nuclear deterrence. NATO still holds conventional superiority vis-à-vis its adversaries and must make better use of it by improving military mobility and decisionmaking processes for rapid response. Closely connected is the issue of NATO’s intent to use its capabilities for collective defense. In the end, NATO’s greatest asset—and potentially its weakest spot—is its unity and cohesion to act when necessary. Without the use of tactical nuclear weapons NATO can't defend even the core of Europe, let alone the perimeter. This has been true since the Cold War began and continues today. For the most part NATO nations do not even want tactical nuclear weapons stored within their nation states. The truth is by the end of June 1954, five battalions of the atomic artillery had arrived in Europe and were becoming more established as essential components of any proposed defense in Western Europe. Assigned to the 42d Field Artillery Group at Baumholder and placed under US Seventh Army control, these battalions were the 59th, located at Pirmasens, the 264th at Bad Kreuznach, the 265th at Baumholder, the 867th at Kaiserslautern, and the 868th at Baumholder. In its annual training guidance, the U.S. Army, Europe, directed the Seventh Army to employ them throughout division, corps, and army-level maneuvers. Yes we are talking here about nuclear artillery shells shot from howitzers at advancing Russian forces. Today with the elimination of the INF we may be talking about rocket assisted nuclear artillery shells being shot at advancing Russian forces along with ground based missiles on top of aircraft launched tactical nuclear field weapons and cruise missiles launched from NATO submarines. As we once said in Vietnam in order to save a village we may have to destroy it completely, the same can be said of NATO defense of Europe from a full Russian assault. It's not a pretty picture really.